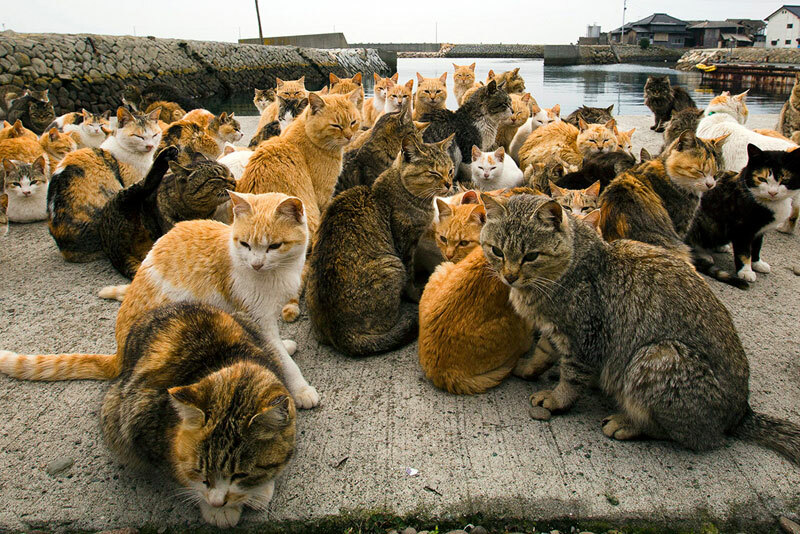 On the island of Tashirojima, the cats outnumber people, and the people like it that way. 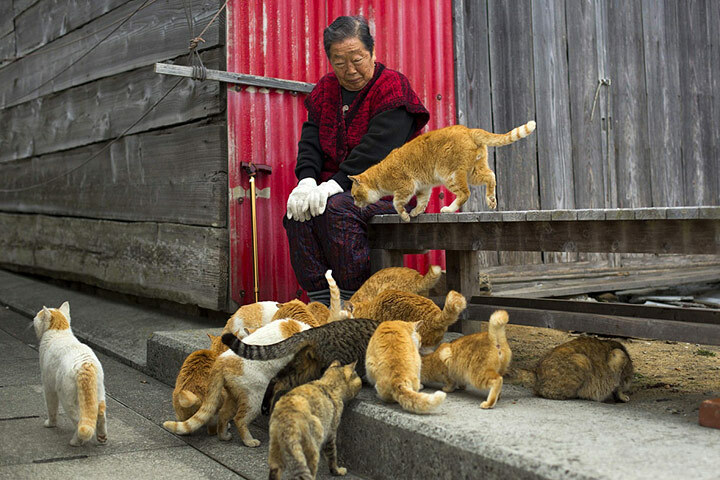 It’s no accident that the cats who inhabit Tashirojima, or what has become known as “Cat Island,” in Japan have come to be the island’s primary residents. Cats have long been thought by the locals to represent luck and good fortune, and doubly so if you feed and care for them. Thus, the cats are treated like kings, and although most are feral because keeping them as “pets” is generally considered inappropriate, they are well-fed and well-cared-for. 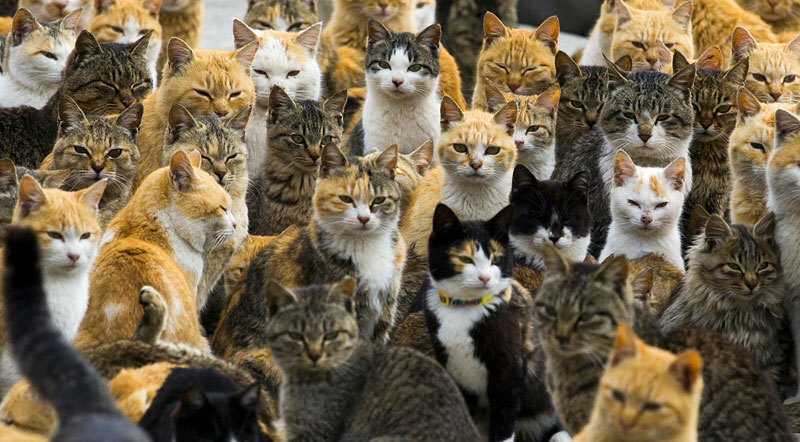 Despite this, luck and fortune hasn’t exactly come to the human residents of “Cat Island.” In the last 50 years, the human population of the island has dwindled from 1,000 to fewer than 100. As more and more people have shunned the island as it became dominated by felines, the people that have remained have become ever more protective of the cats. Currently, dogs are not allowed on the island to protect the well-being of the cats – and presumably any dog foolish enough to venture onto an island full of feral cats.